Manufacturer & Exporter of Wastewater Treatment Plants. Our product range also comprises of RO Systems, Water Softener and Ultra Filter Plant. 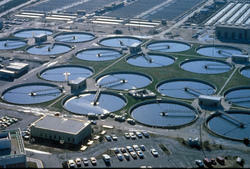 We are instrumental in rendering the best quality of Wastewater Treatment Plants. These screw presses are manufactured by using modern machinery and are used for separating liquid from different solids in the most efficient manner. Ideal for different sludge treatment, these screw presses are available with us in various technical specifications.